Haven’t posted in a few days, but this is reinforcing the story of methane and runaway climate change. Check out the full story at the ‘read more’ link. An emerging methane feedback in the Arctic. 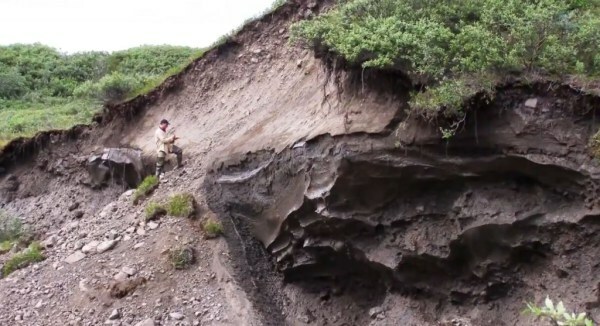 It’s something that, since last summer, I’ve been calling the Arctic Methane Monster. A beast of a thing composed of giant reserves of sea bed methane and an immense store of carbon locked away in Arctic tundra. How dangerous and vicious the monster ends up being to a world set to rapidly warm by humans depends largely on three factors. First — how fast methane is released from warming stores in the sea bed. Second — how swiftly and to what degree the tundra carbon store is released as methane. Third — how large the stores of carbon and methane ultimately are.